The signature Loop silhouette displays fresh, textural workmanship in supple nappa leather. 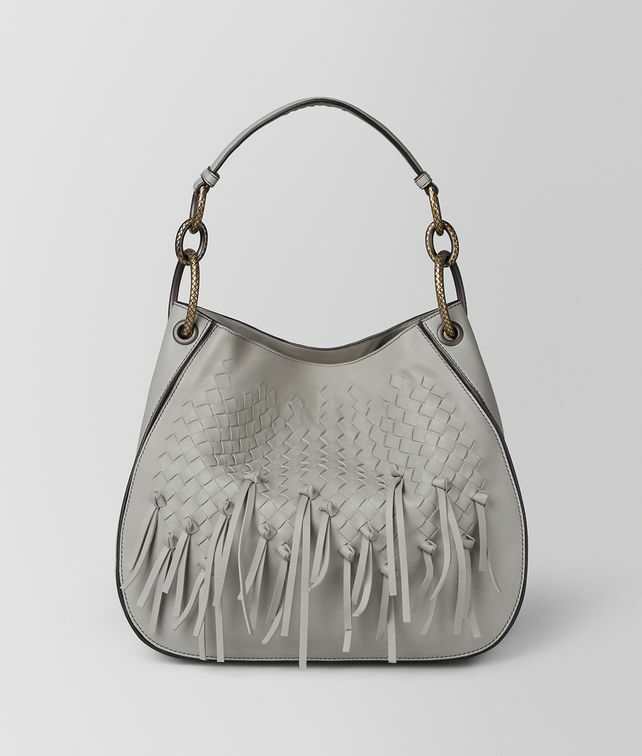 Hand-woven intrecciato is precisely knotted, graduating to tactile fringing that descends from the base. It displays intrecciato-engraved hardware in a dark-gold finish. This slouchy style features an open top, bonded leather lining and is finished with a zipped compartment and two interior flat pockets. Depth: 6.5 cm | 2.6" Handle drop: 14 cm | 5.6"